I went outside to find out what Ohiophotogrl was doing. She had been outside collecting some of the lawn ornaments so she could touch them up. Today’s touch ups were Scotty Dogs. This entry was tagged blog, kid friendly, laugh, Mr P, Mr. 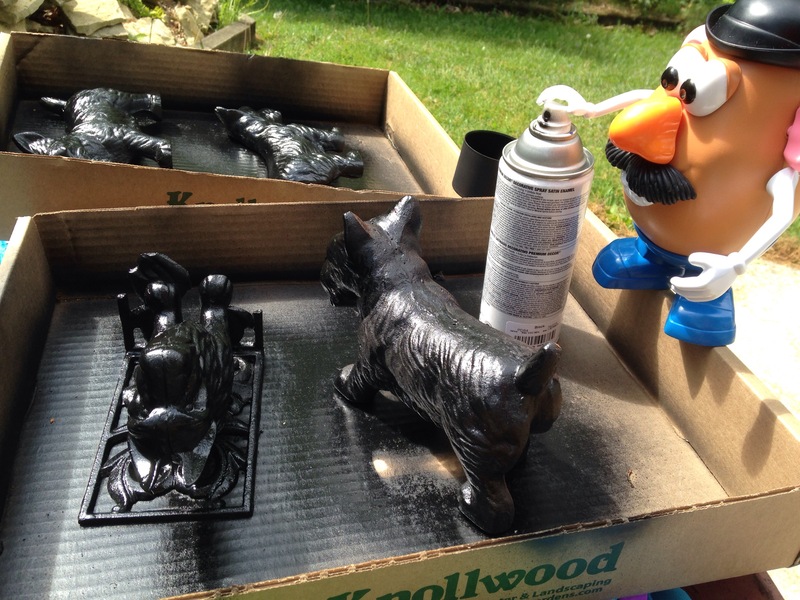 Potato Head, photography, scotty dog, spray paint. Bookmark the permalink.